Monaco and Arsenal, ready for their big clash ! Both teams prepared their final clash, by winning their League’s matches, 3-0. Monaco’s score was obtained easily, against a valiant but feeble side of Corsica’s Bastia, but the same can’t be told for Arsenal, for even if the Gunners won, their players weren’t convincing, especially in the first half. Olivier Giroud and his teammates put an end of the suspense, late in the game and if a 3-0 is the result expected for Arsenal to go through the next level of Champions League’s (quarter-final), it will take more than some individual brilliance. Beaten 3-1 in their home of The Emirates, Arséne Wenger’s team, must win the away tie, by scoring more than once and avoid at all cost conceding, even one goal. 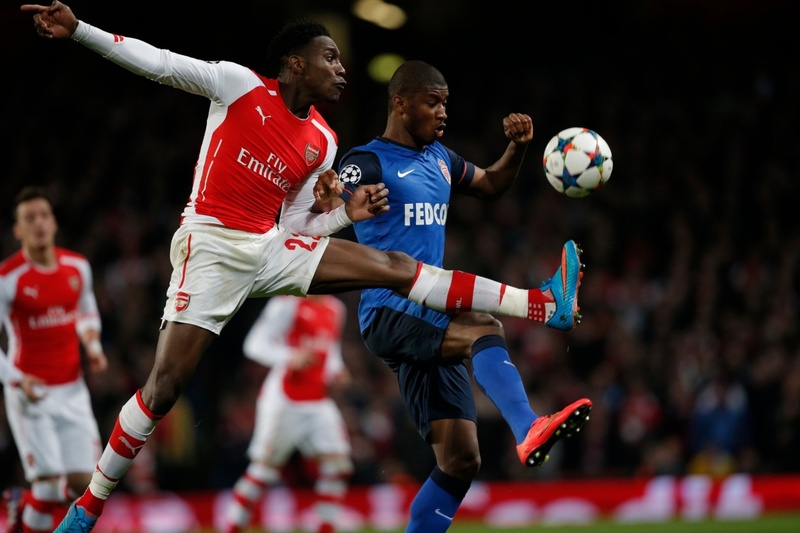 The game on 25 February, was the third year running that Arsenal has lost the first home leg, by a two-goal margin. 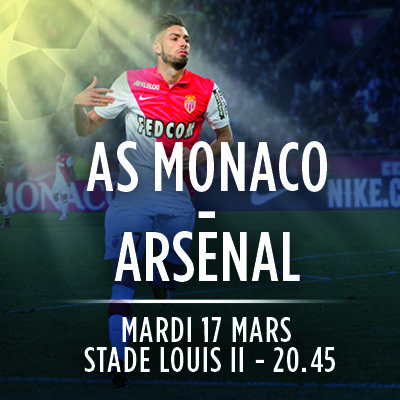 Arsenal’s task won’t be easy, for Monaco’s defense is one of the best, having won the three home games in the group stage, without conceding and are still unbeaten in eight European games at Stade Louis II, since a 2-0 loss to PSV Eindhoven, in March 2005. 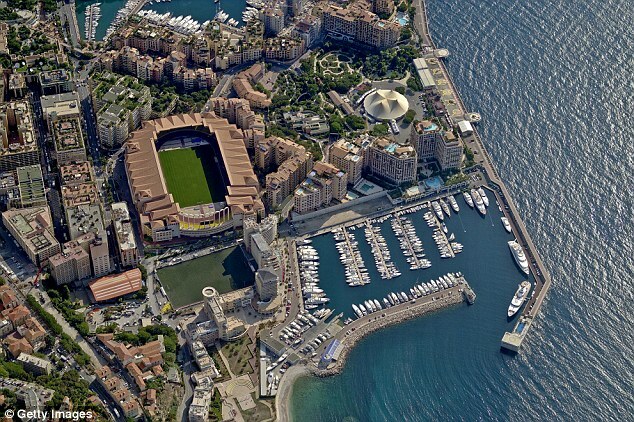 Les Monegasques, won at home two English sides, Chelsea FC 3-1 (2003/04 semi-finals) and Liverpool FC 1-0( 2004/05 group stage).Now they are hoping to reach the first quarterfinals, since the ones of 2003/04 season, when they went all the way, till the Final. This is Arsenal’s 15th consecutive appearance in the last 16; unfortunately, the North London’s club lost at this stage, in each one of the last four seasons. Wenger’s record against his home(France) teams with The Gunners, is W10 D4 L2. As Monaco’s coach, Wenger won the French League title in 1988 and the French Cup in 1991. Leonardo Jardim, Monaco’s boss faced Arsenal with his former team, Olympiacos(Greece) in the 2013/14 group stage, losing 3-1 in London, but winning 2-1 at home. Yannick Ferreira-Carrasco, Moutinho and Layvin Kurzawa will all incur a suspension with their next bookings. Toulalan is available, after serving a one-match ban in the first leg. Mathieu Flamini, Nacho Monreal and Mesut Özil are all a yellow card away from suspension. Jack Wilshere(ankle ligaments) Mathieu Débuchy( shoulder) and Mikel Arteta (ankle and calf) are out. Arsenal still have enough talent in their ranks to create a surprise qualification in Monaco’s Louis II stadium, but it’s difficult to see Les Monegasques conceding three or more goals without reacting.